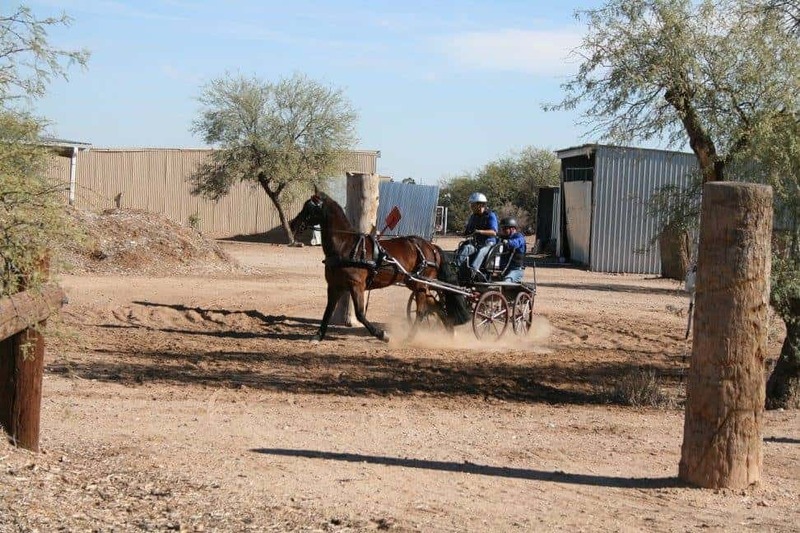 January 26th found us rising earlier than normal to make a trip down to Apache Junction for our first Arena Driving Trial of the year. Pinegrove’s Sailor Boy is going advance for the first time in about eight years. During training I found that he was getting very bored with the Intermediate tests as was I, so I decided to move back up to advance. It was a sunny and warm day, at least in my opinion, as we woke up to 22 degrees. Pinegrove’s Sailor Boy finished his breakfast, while I walked the cones course and checked out the dressage arena. Then after a hot cup of coffee and a Danish Allan, my husband and navigator, and I walked the obstacles. 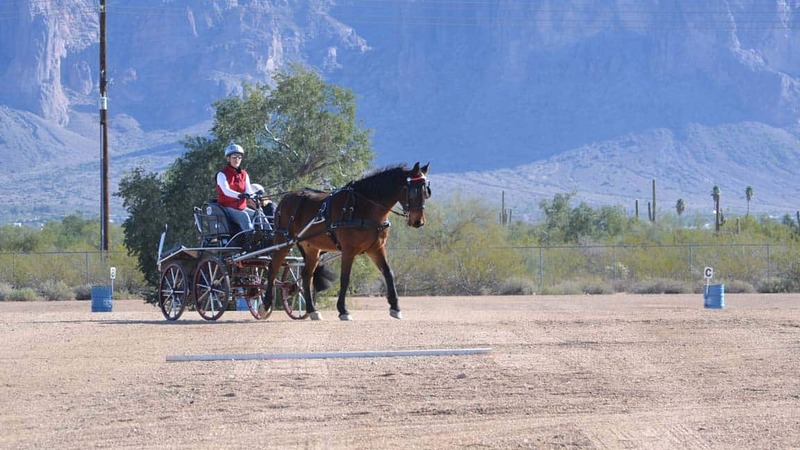 There were four obstacles in an Arena Driving Trial, and they were very well laid out. 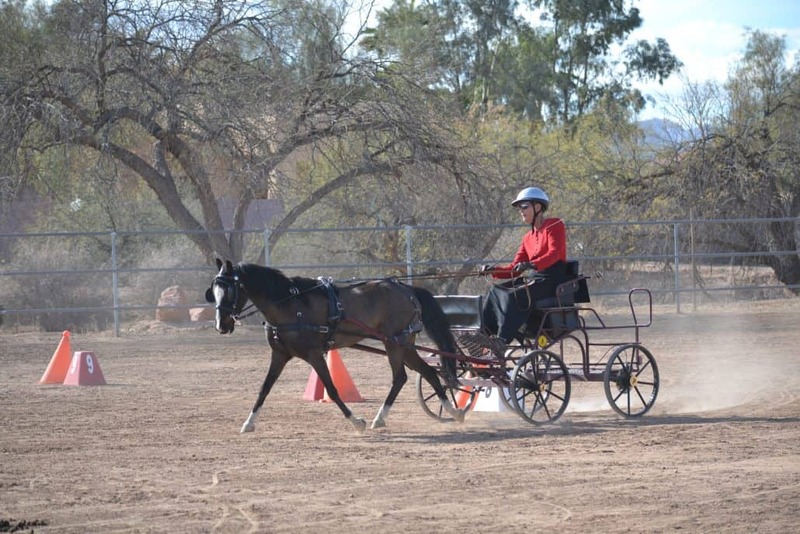 Eileen driving Pinegrove’s Sailor Boy warming up for the obstacles. When our go time finally came around Pinegrove’s Sailor Boy was ready, as was I. We had a good go of it in dressage and I was appreciative of the judges comments. Afterwards we headed for the cones course where Pinegrove’s Sailor Boy was a bit too excited and we knocked down two cones and we accrued some time penalties. An hour later we hitched up for our turn at the obstacles. Pinegrove’s Sailor Boy was happy to be able to canter through the obstacles and we had the best overall time in our division. 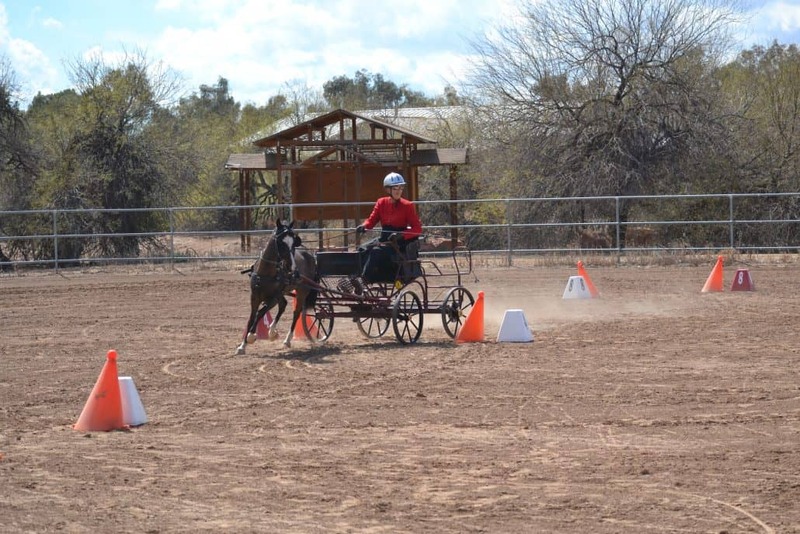 For our first Arena Driving Trial for the year I was happy with Pinegrove’s Sailor Boy performance! 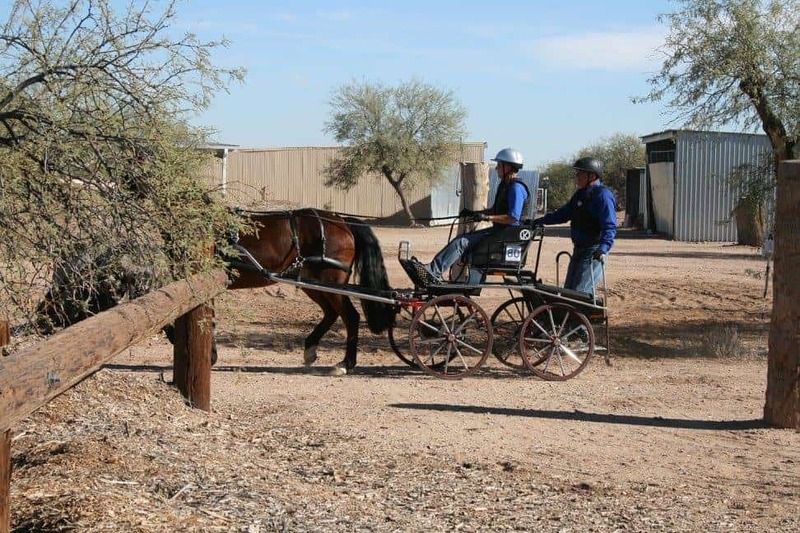 The Combined Driving Demonstration held at Davis Ranch was a great success. 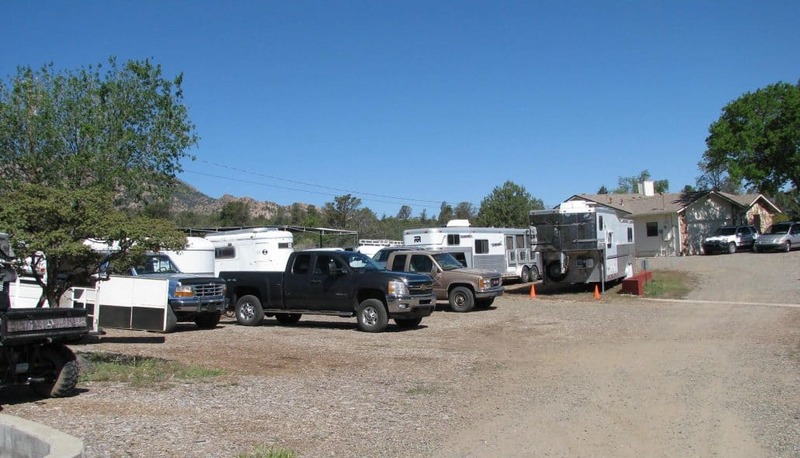 About forty members of the Granite Mountain Riders showed up for the monthly meeting at the ranch. The members did a lot of catching up with other members while waiting for all to arrive. By 5:30pm members made their way to the bleachers by the dressage arena to watch the beginning of the nights program. All were welcomed to the ranch after which I explained what Combined Driving is. 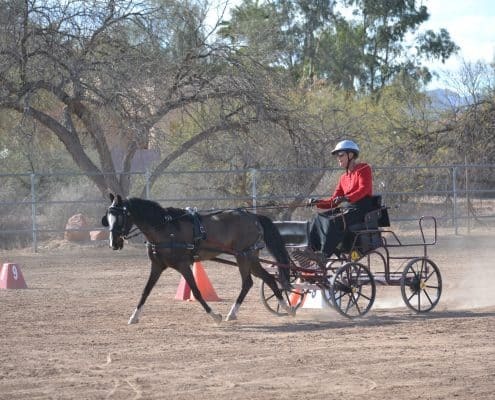 I also explained what a Combined Driving Event consisted of. I introduced my Friesian Sporthorse “Pinegrove’s Sailor Boy” who is a fifteen year old gelding. I told them that I have been working with him for thirteen years. Also, that he has competed through FEI level. Sailor and I drove through a few cones showing the precision needed to drive them without knocking any down. 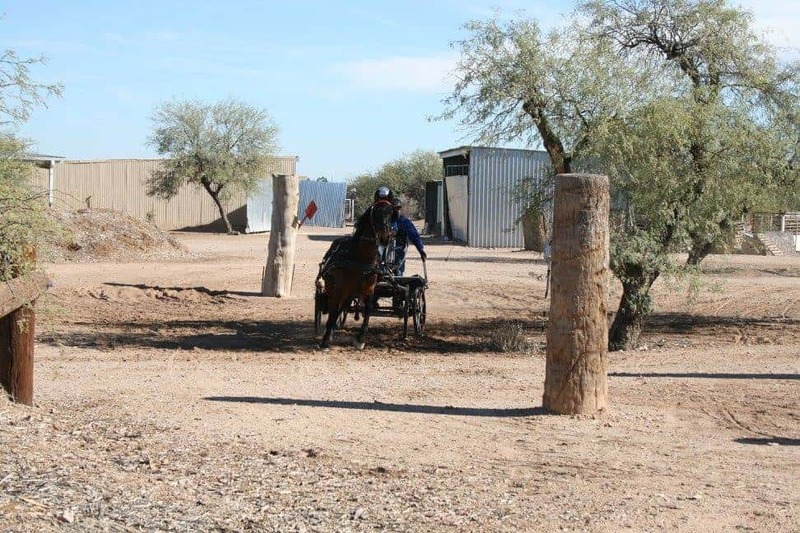 We then escorted the ladies to an area on my cross country course to watch us run two of the obstacles on the property. In Sailor’s normal way he showed that he was very happy to canter through both of the obstacles. The water obstacle is always great to watch, for Sailor due to his size, creates a big splash. After returning to the carriage barn to unhitch Sailor, I answered many questions and he hunted for treats as is usual after he has done a good job. After returning him to his stall and getting his dinner we all enjoyed a very tasty potluck dinner. The night was finished off with a club meeting and everyone left to go home before the night got to cold to be outside. There were many great questions answered and many great thanks for a great program. Pessoa Training System with Pinegrove’s Sailor Boy is the best tool to use to help your horse find his own natural frame. The Pessoa Training System was designed by Nelson Pessoa. With this tool you are able to start your green horse long and low. 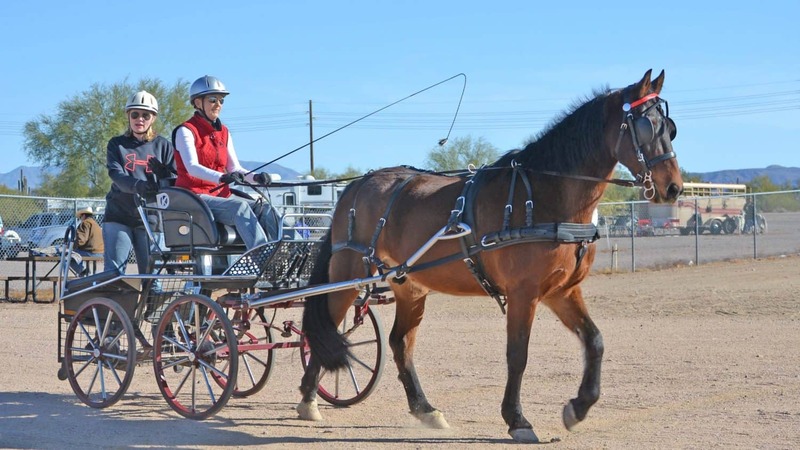 As your horse learns self carriage you can adjust to achieve the most advanced collected frame. I have been using the Pessoa system with Pinegrove’s Sailor Boy for about ten years and it has been a great training tool. 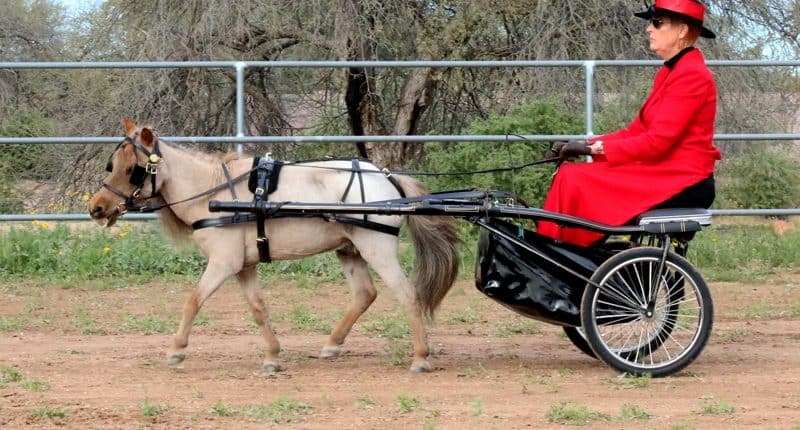 The best thing about it is that the horse is basically learning on his own. Sure I hold the lounge line, and I have a lounge whip to keep him moving in the direction that I want him to go. I never pull on his head, mouth or face. Once you have watched the video you will see how quiet Sailor is. 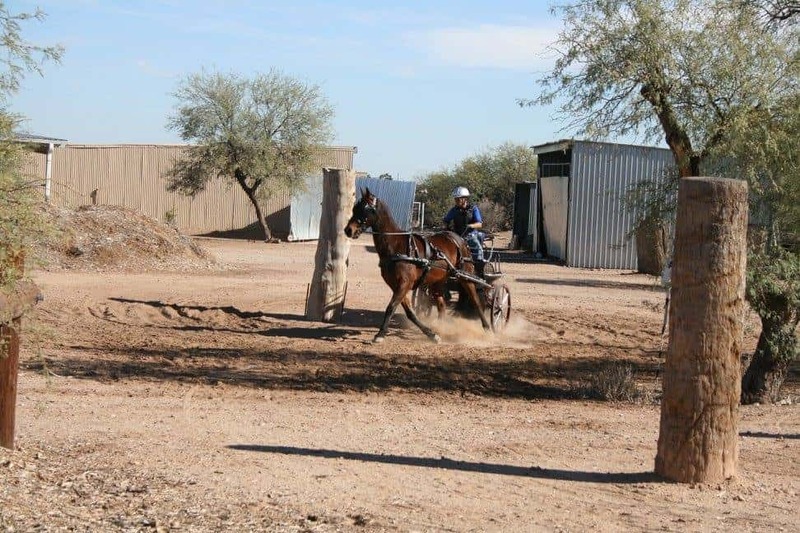 This is the way you want your horse to be during this training process. 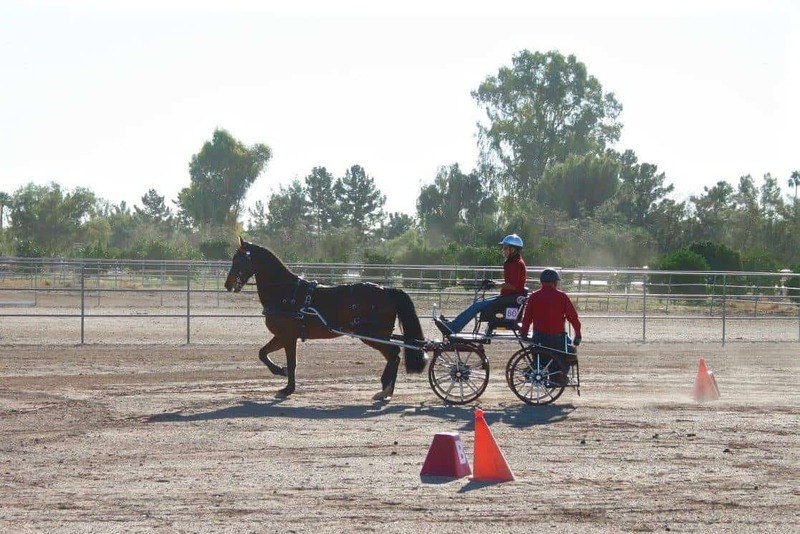 When introducing your horse to the Pessoa training system you will start at a walk. Your session only needs to be about fifteen minutes. Remember the horse is learning how to carry himself in a frame and it will tire him out. 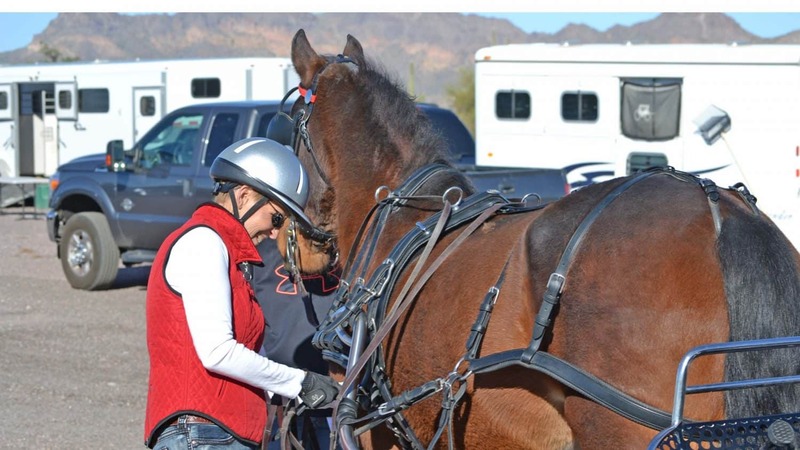 Work several sessions at the walk until your horse relaxes into what he is being asked to do. 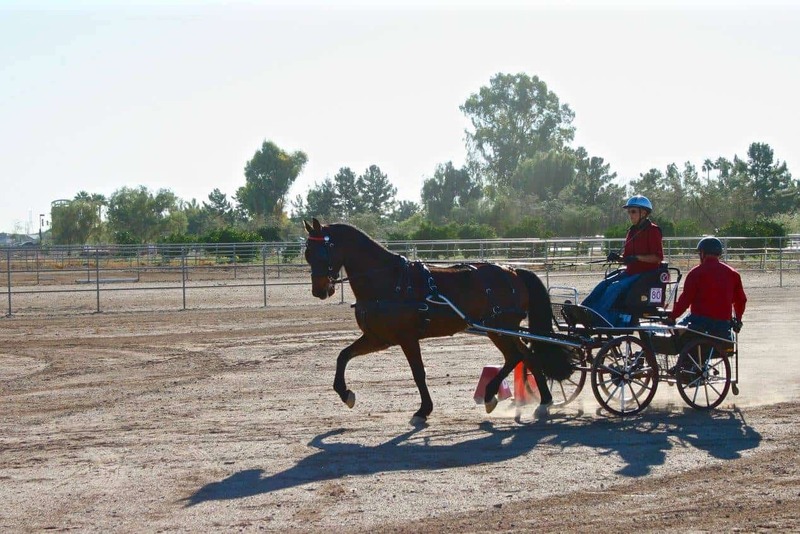 Once he is comfortable with the walk then move onto the trot and then the canter. 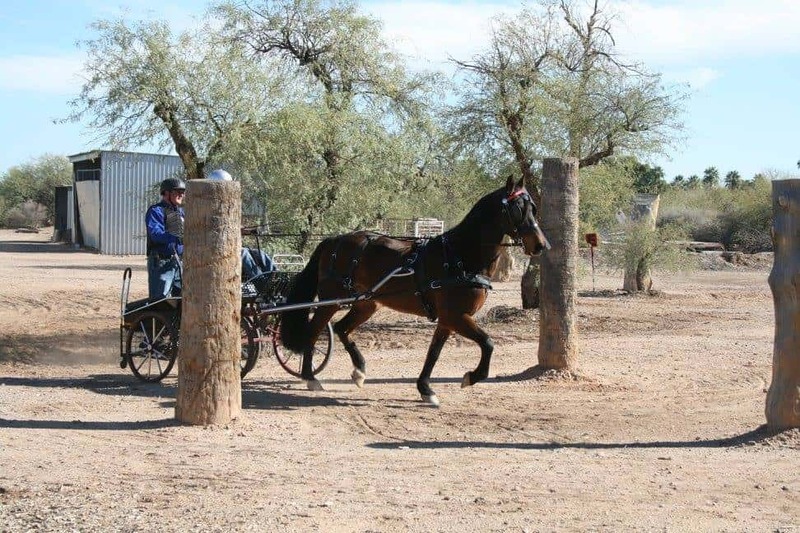 Only a well conditioned horse will be able to do the three gaits for any length of time. 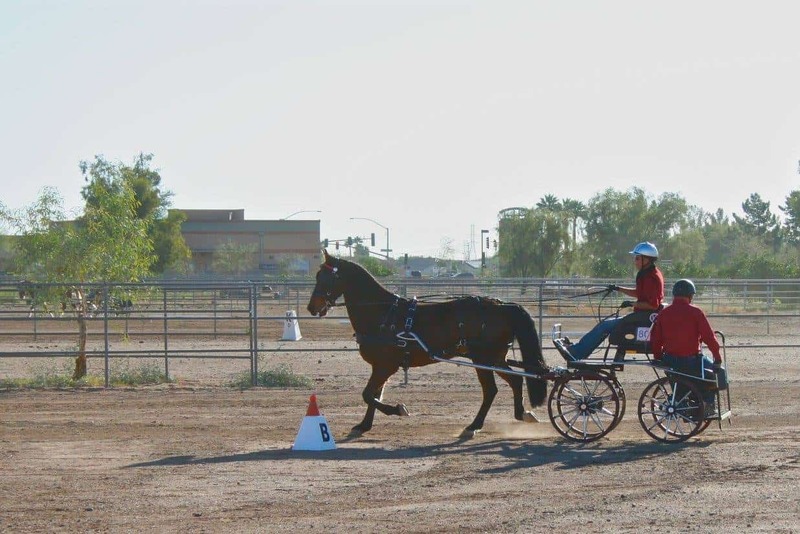 Remember you are teaching your horse to carry himself in a dressage frame. He needs tp stay round and on the bit during the whole session. 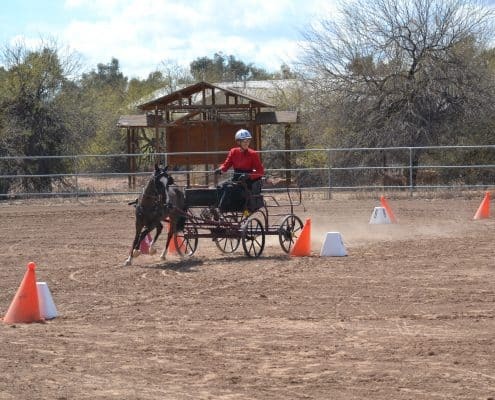 Sailor having fun at the ADT in Prescott this last weekend. It was the first event that my Husband, Allan, has gatored for me since his by-pass surgery last year. 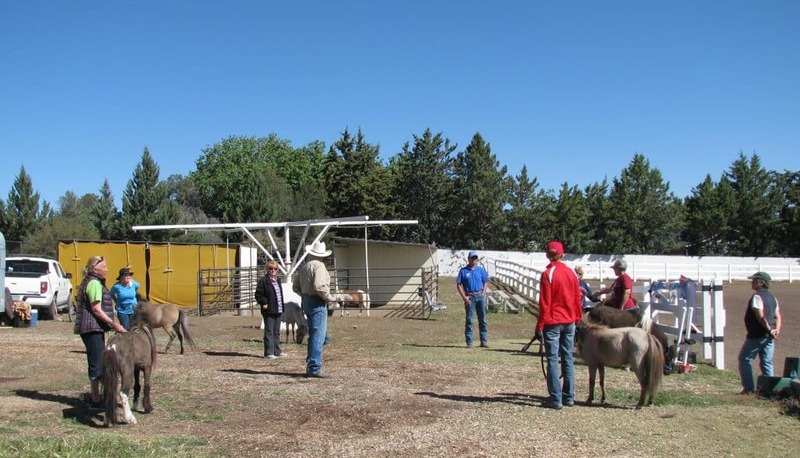 This was my trail event to make sure that all was good before we plan a trip later in the year to Colorado and possibly Texas for CDE’s. The day started off calm and quiet with the weather but by noon the breezes started to come. Our go time for dressage was 12:26 and yes we were the last to go. By this time the ground in both the dressage arena and the cones was more like powder than dirt. We did okay in dressage and Sailor was having fun just trying to make out the letters on the concrete bricks. After dressage we headed for the cones course, by now the breeze was a lot stronger, so the cones and numbers were hard to see. 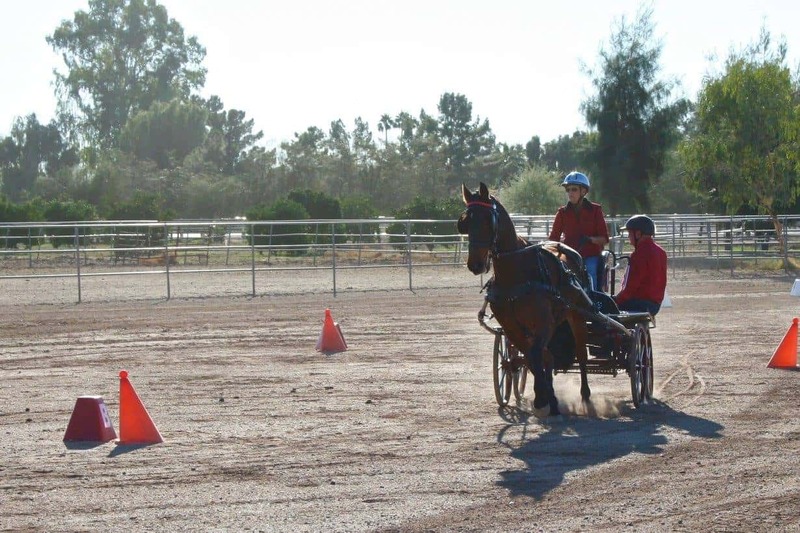 We went through the starting gate and then through the first set of cones and as I turned left towards the second set of cones the letters were so full of dirt there were no numbers, and then with the cloud of dust I had to make a second circle just to be able to see the numbers. The rest of the course was like the blind leading the blind. We managed not to knock any of the balls down for a clean round. After lunch Sailor was hoping to have more fun but, by now the dirt was in constant clouds floating across the grounds. We ran the four obstacles in good time and we were very glad to be done! Overall Sailor having fun, and Allan being able to be there with me as my gator was worth eating dirt and being sand pitted! 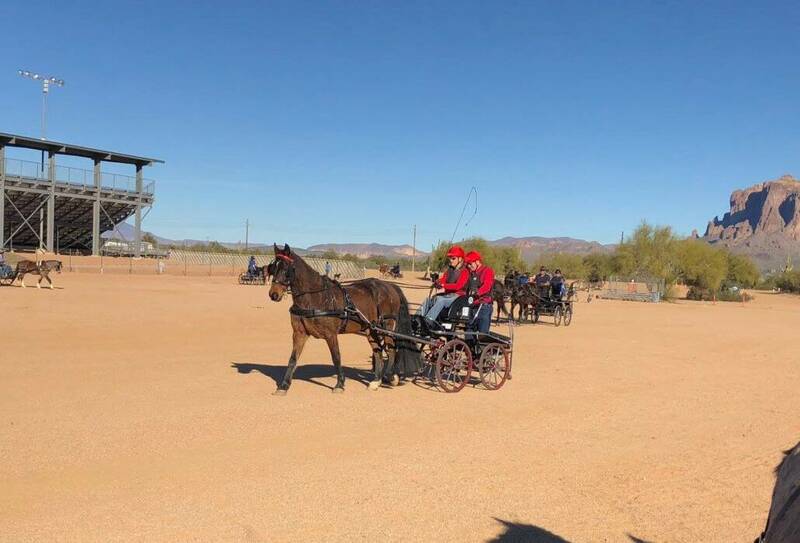 The Festival of Driving with Shrimp Scampi started with our arrival at Dale Creek Equestrian Center on Friday March ninth. I found our parking space and a stall for Scampi and got her settled in for the weekend. As the afternoon went on more and more competitors arrived and by nightfall the grounds were pretty full. With the arrival of dawn I was up feeding Scampi and figuring out my approximate time of my first class. Being that it had been four years since I had shown Scampi, that she was now nineteen and she was diagnosed with PPID last year, I picked the classes that would be the best for her. We had scheduled four classes for Saturday and four classes for Sunday as not to over stress her. Four of the classes were arena, there was a super reinsmanship class and the other three were cones classes. Now Scampi has always loved cones so I figured that she would do the best in those classes. 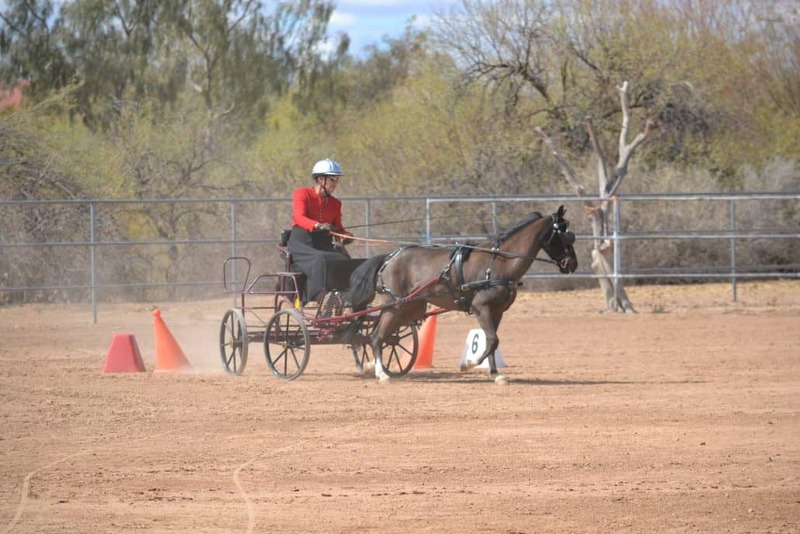 Of the three arena classes on Saturday morning of The Festival of Driving we placed a fourth and a fifth. I had some time after the morning classes to have lunch and Scampi was able to have a rest before the first cones course in the afternoon. The course was called Reverse Psychology. 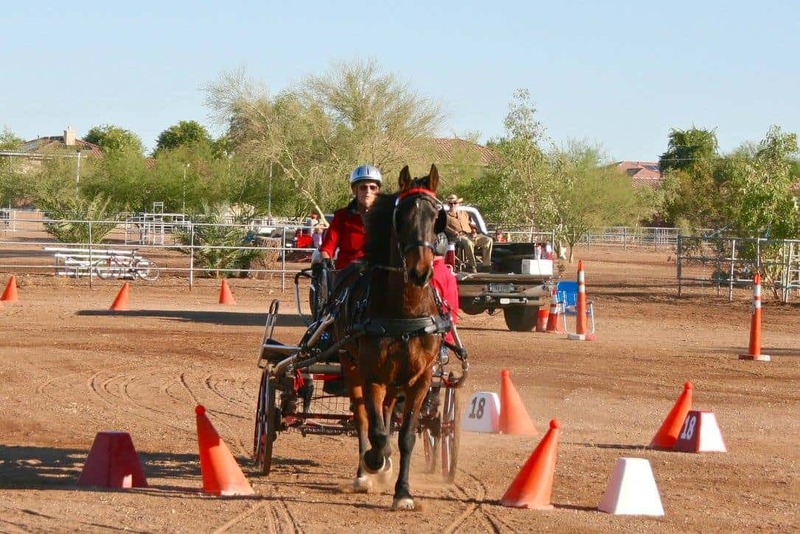 The horse and driver drives the course of ten cones in order with red on your right, then once you go through the number ten set of cones you turn around and go through the set starting with ten down to one with white on your right. It sounds easy but the driver has to rethink the red on right to white on right, and for as driver who has done a lot of cones courses it is a lot to rethink. As it turned out my memory was working well and we ran the course in the second fastest time. The second day of The Festival of Driving with Shrimp Scampi was met with damp ground from some overnight showers. As the sun rose the day turned bright and sunny. Our first arena class of the morning was the Red Hat class and there were a lot of red hats to be seen. We pulled it off and took first place! 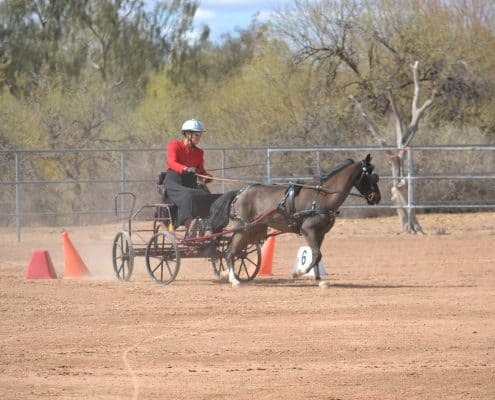 Then it was on to the Super Reinsmanship class where we drove the pattern that we had practiced at home ahead of time. It was a fun class and we placed third in the pony division. After a break for all involved for lunch, I was looking forward to the two cones classes coming up. The first class was Fault and Out, where you keep running through the ten sets of cones until the whistle for times up is blown. I don’t think any made it further than set one after the first time through. We pulled out a second place so I was pleased. Out last cones class of the day was Your Route/My Route. You first drive the ten sets of cones as set and then you drive them in any order or direction that you want a second time for a total of twenty sets of cones. I think Scampi put it on full throttle and we won the class with a time of 02:45:62! 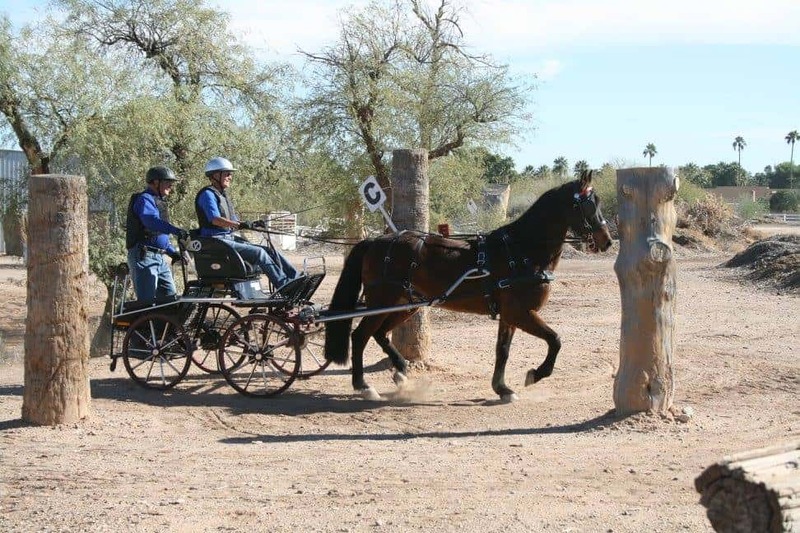 Pinegrove’s Sailor Boy competes at the Arizona Driving and Carriage Society’s first ADT of 2018. I got an early start on the day, heading from my ranch in Prescott to the event at Apache Junction two and a half hours away. Arriving at the event center about 8:30, there were already a lot of competitors there. I picked up my entry number and settled into the routine of getting Pinegrove’s Sailor Boy out of the trailer and comfortable. Next in line was to get the carriage and other equipment out also. Then it was all about waiting for our time to go 10: 26. I had Pinegrove’s Sailor Boy tacked up and harnessed by ten and we headed for the safety inspection, and then it was on to dressage. Dressage not being Pinegrove’s Sailor Boys favorite thing we just headed into the dressage court in a very relaxed mode. The whole test went terrific and I was very happy with a score of 54 at the Intermediate level. 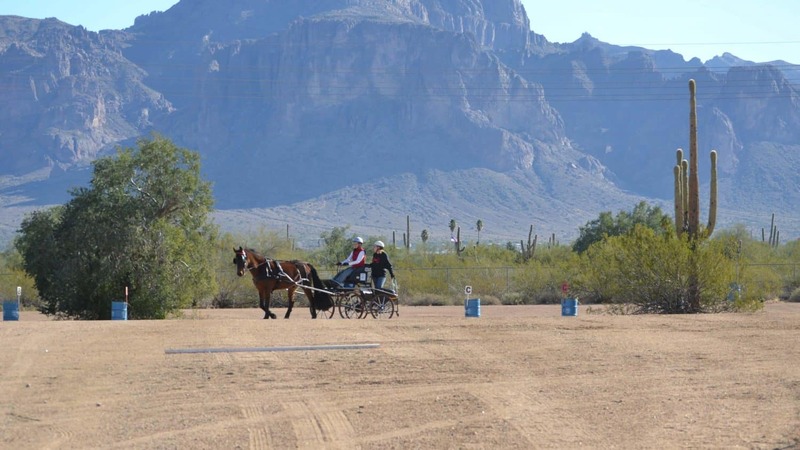 I then headed over to the cones course which was large and sweeping and Pinegrove’s Sailor Boy decided that an extended trot for the whole 800m would be the way to go. We went clean with no balls down and I think we made time but as of this news release the final scores are not posted. Pinegrove’s Sailor Boy and I made about a two hour break during which I walked the four obstacles that we would be driving at 2:45. 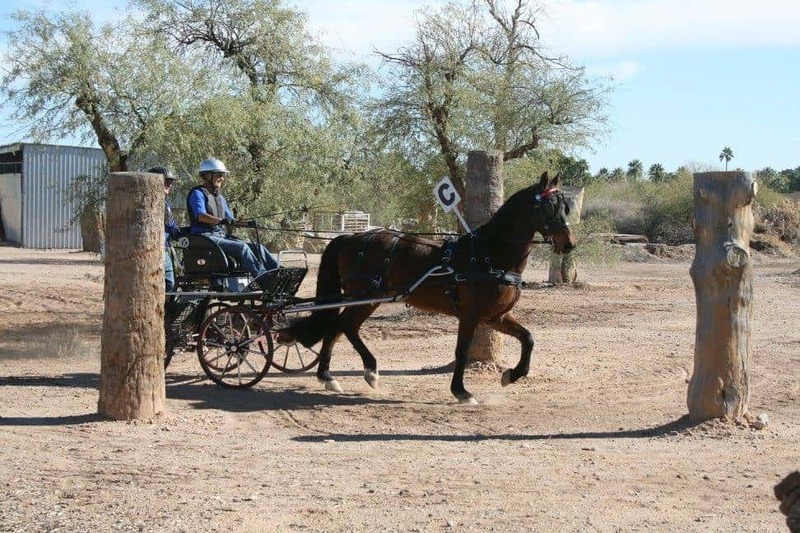 Our time came and Pinegrove’s Sailor Boy was eager to get going and we cantered about 95% of the four obstacles. No whistle was blown so we had no course penalties. All in all it was a nicely run event in a great location. All of the organizers and the helpers did a great job keeping it running on time. I will post out final score when I get it, and everyone out there keep driving! 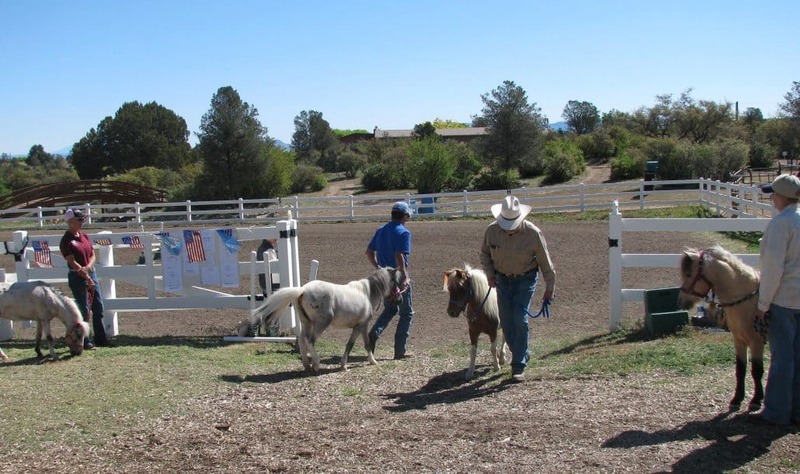 A Mini Horse Club Gymkhana was hosted by the Saguaros State Miniature & Shetland Pony Club at the Davis Ranch on Sunday the 30th of April. 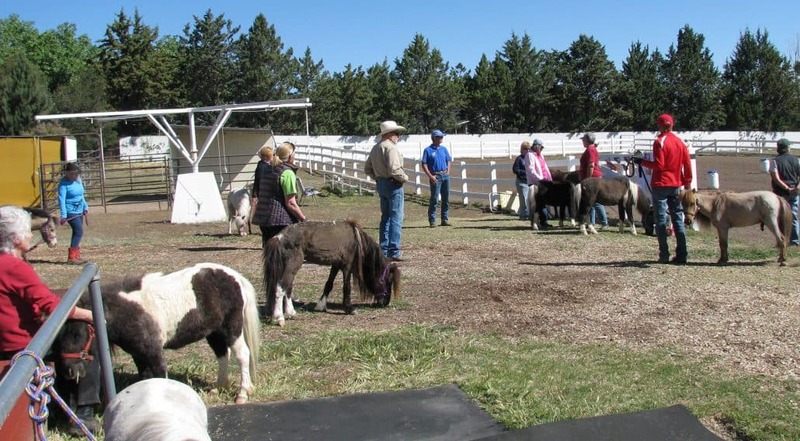 Twenty two members showed up, bringing with them about ten miniature horses and ponies. It turned out to be a beautiful day with no wind, rain or snow to spoil the atmosphere! The morning was taken up with in hand gymkhana games including an egg balancing race that all had fun doing. I think that a few of us older adults found running with our mini’s was harder than when we were younger. There was a lot of huffing and puffing going on. By 11:15 all were tired so we broke for lunch and our horses had earned a drink of water and a snack. 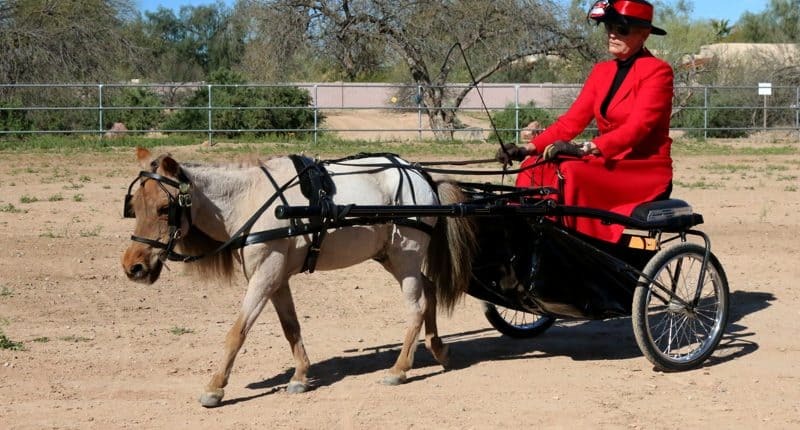 After lunch those who had horses that drove proceeded to get hitched up for the driving games. 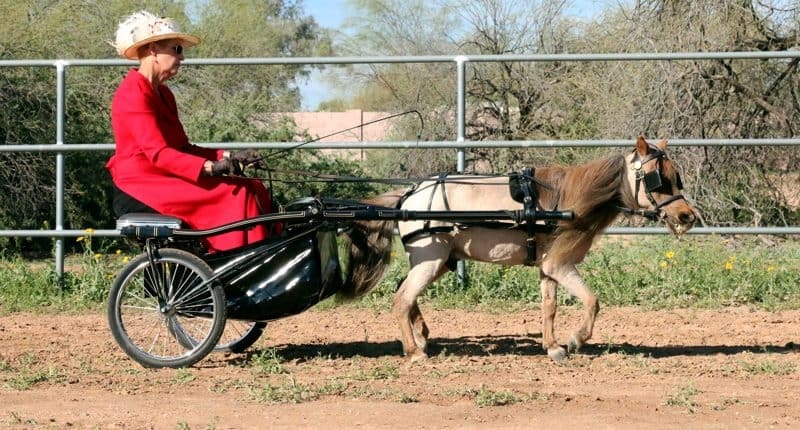 Those that had proficient driving horses did some cantering which shows that these little horses can get there fast if need be! 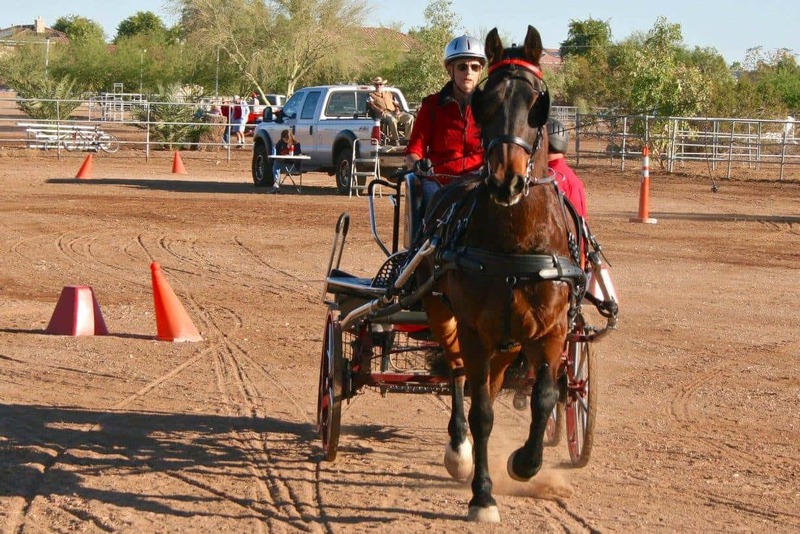 Others with newer driving horses kept to a trot or walk and all went well without any mishaps. 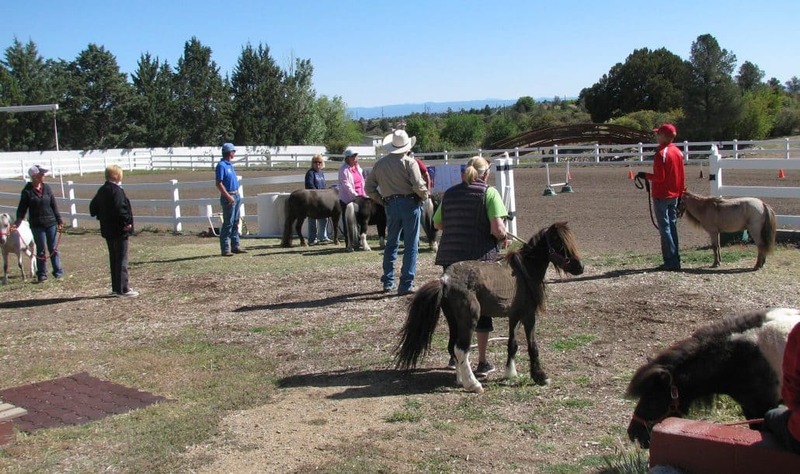 When all was said and done this Mini Horse Club Gymkhana will go down in the history book as a success. I think everyone received a prize and the horses got mint snacks! A few of the drivers checked out the bridge and water crossing as well as the hazards that are on the property. 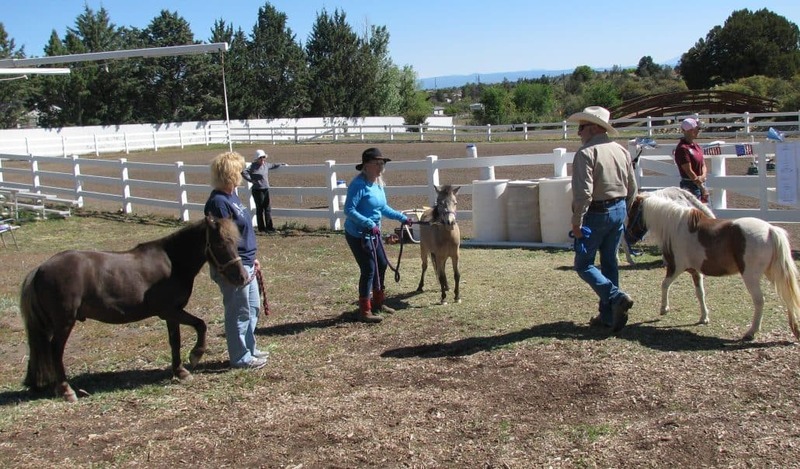 I was asked to do a Participation Clinic at Verde Valley Equine Festival on Sunday April 23, 2017. The day started out sunny with a temperatures in the mid eighties. 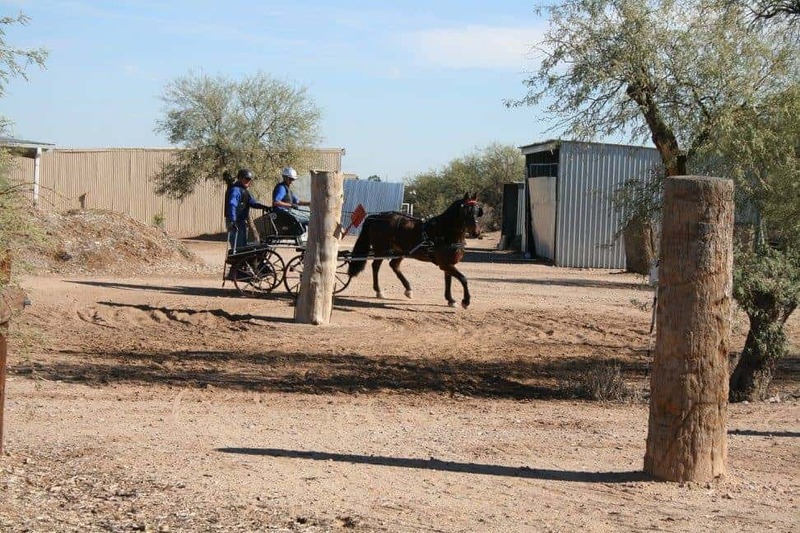 I arrived at the venue in Cottonwood Arizona at 8:30 to find people and horses already milling around the fair grounds. The driving participation clinic started at 9:30 with two drivers signed up to participate. 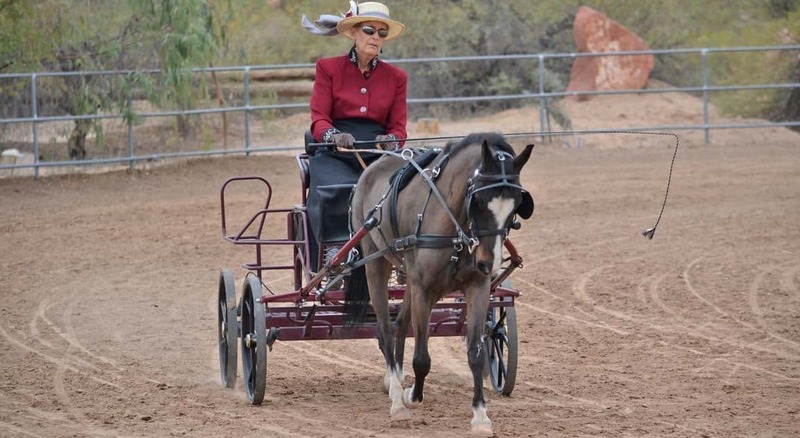 The first driver had a well seasoned draft mare she was driving and the second driver had a Morgan mare that has been driving about two years with a new driver. 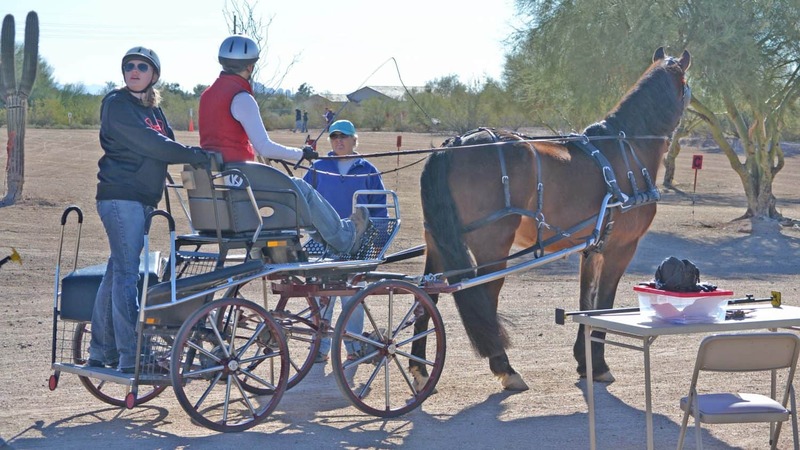 Both horses were well behaved and the drivers were proficient equal with their level of driving. Many of the spectators that arrived were there to watch and learn about driving and how much fun that it can be. It was really good to see the interest in the sport of driving as we need to bring more people into this sport so that it will live on for many years. 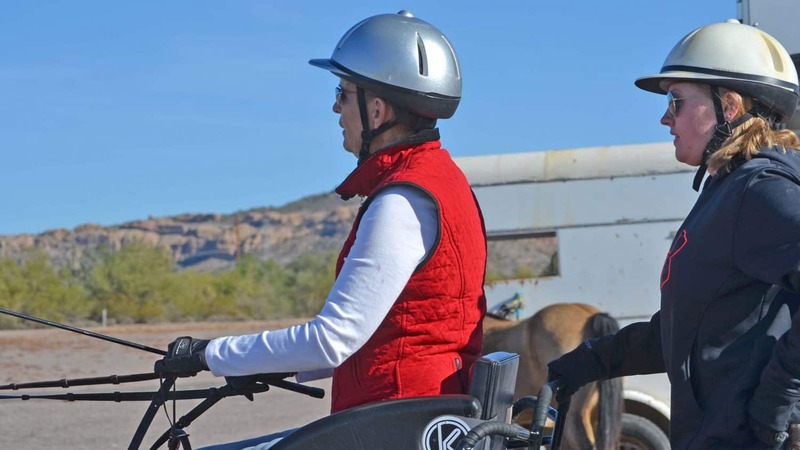 This Participation Clinic at Verde Valley Equine Festival was proof that people can get excited about this very old form of transportation and how it has transformed into a fun way to use ones horse. After a brief break I then did a talk on harness and harnessing. Even though the wind decided to show it’s ugly head there was a good turnout of people wanting to learn! 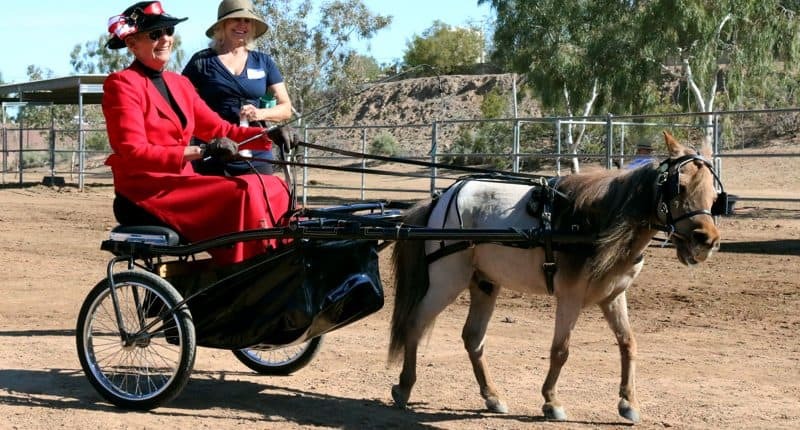 I brought along my miniature horse “Snoopy” as a demonstration horse to show how to fit and put on the harness an hitch to a cart. While I was answering questions I had any of the attendees who wanted to try and put together a harness to do so. I supplied a horse size harness with 29 parts that were disassembled for them to put together. 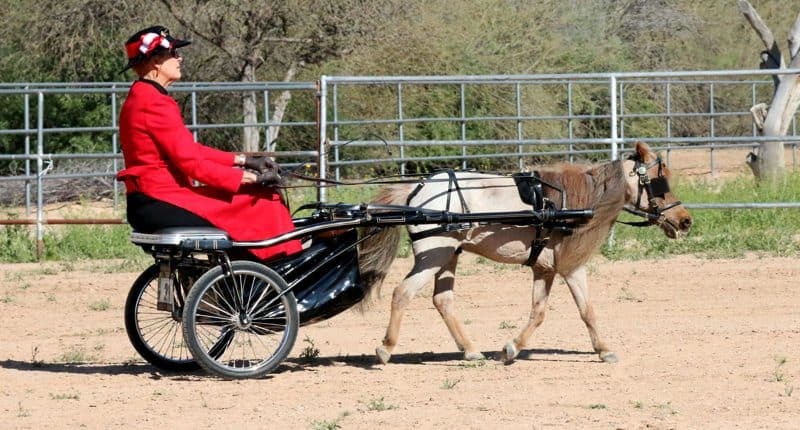 When it was assembled I gave them one of my “Harnessing & Saddling A Step By Step Guide” as a prize. There is nothing better than hands on experience to teach a student how to do something!